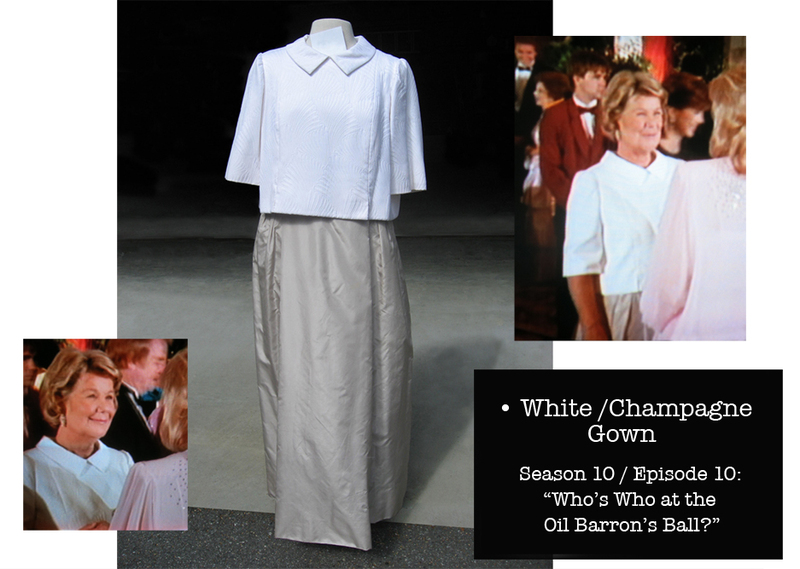 Miss Ellie while attending an annual Dallas Oil Barron's Ball. 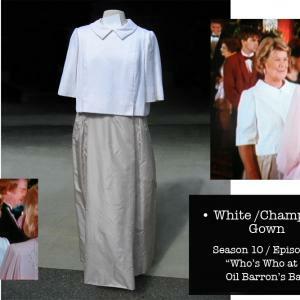 on-screen in an episode of Dallas. 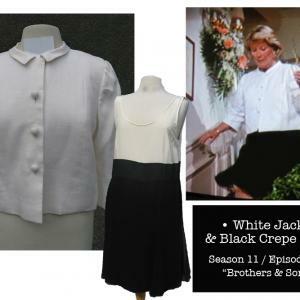 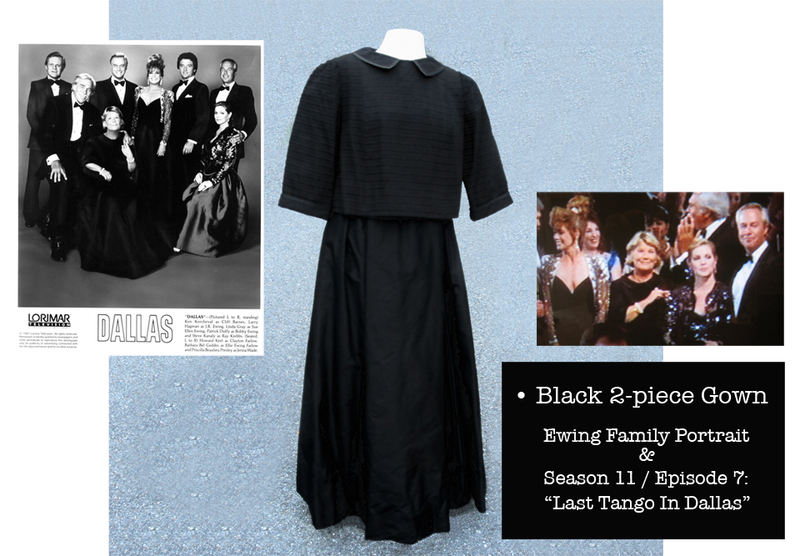 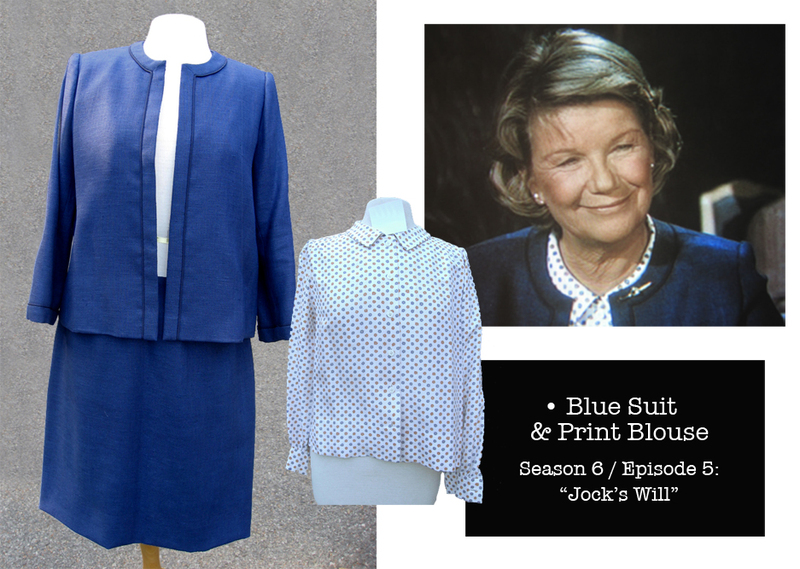 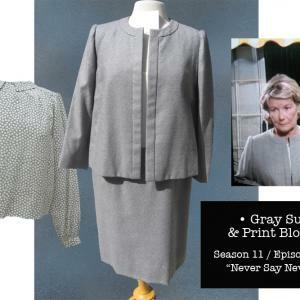 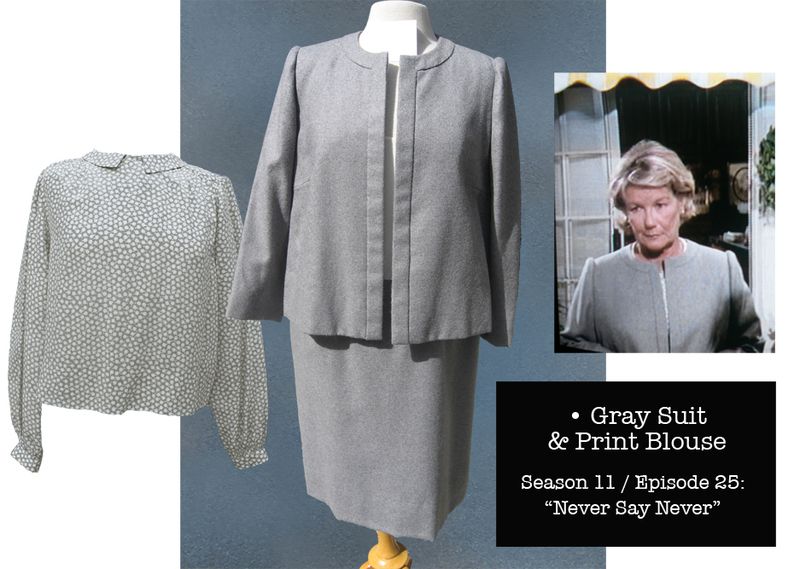 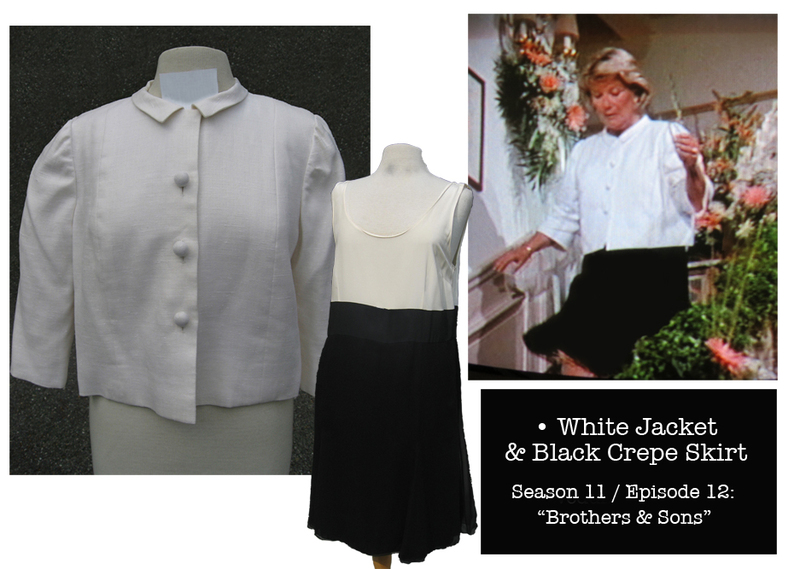 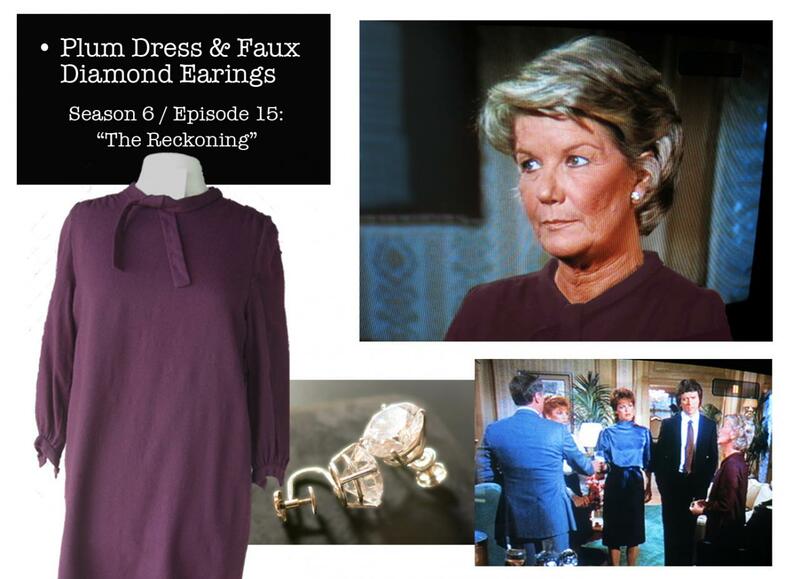 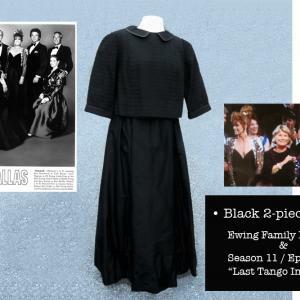 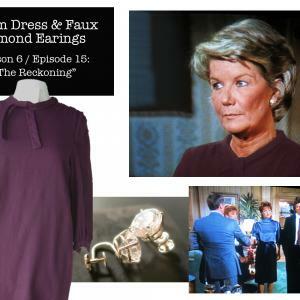 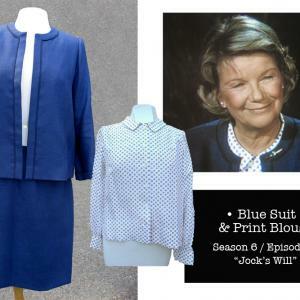 Garments were personally designed by Barbara Bel Geddes in collaboration with her dressmaker Iris Terragawa.